The title of this song is : " 5 rps Baja"
Is Mauritian Creole a dying language?
. 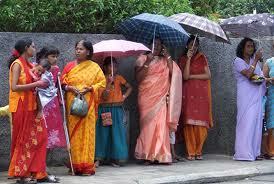 There is no official language in Mauritius. Government work is written in English. The media use French. Most people understand more French than English. The majority of people understand a Creole language. Schools are encouraged to teach Mauritian Creole. Mauritian Creole is not a dying language. I think that you should Know Mauritian Creole because if you go to Mauritius you need to know basic phrases. 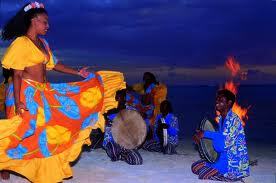 Or if you want to have a business at Mauritius you need to know Mauritian Creole. Creole itself is an interesting language. Why not learn Creole for fun! Good morning, how are you today? : Bonzur ki nuvel zordi? Welcome to our class. Bienveni dan nu la klas. Hello what is your name? Bonzur, kuma to apele? Excuse me, in which direction is the office? Exkiz mwa dan ki direksyon biro ete? Could you show me where the toilet are? Eski to capav montre mwa kot bann twalet ete? What afternoon activity are you interested in? Ki aktivite lapre midi ki interes twa? Who is the director of the school? Ki senla direkter lecol? Please place your books in your cubby at the end of the row. Met to bann lyvr dan to kazie dan dernie ranze sil te ple. Homework needs to be handed in on a Friday. Bizin rann devoir vendredi. The teacher said that we should not leave scrap paper on the floor. Profeser inn dir ki nu bizin zet papir amba. I love you : Mo Contant Twa. 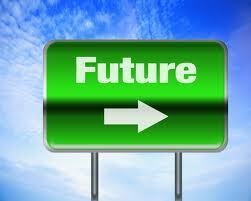 In English you use "will" to express the future. In Mauritian creole you use pu to express the future. Eg: Nu pu envit zot pu mariaz. Mauritian creole's grammar pattern is SVO which stands for Subject, Verb, Object. 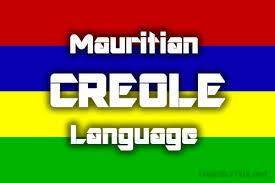 The only place where Mauritian Creole is spoken is Mauritius.